MAKE YOUR NEXT VOLUNTEER TRIP COUNT BY JOINING ONE OF OUR PROGRAMS AND BECOME PART OF A WORTHWHILE CAUSE IN UGANDA TODAY! Uganda is known to most as 'The Pearl Of Africa'. It is a magical place full of incredible scenery, fantastic wildlife, a collection of tribes and an abundance of culture. For those who venture to Uganda, you'll be captivated by its beauty, peacefullness, serenity, and safety. The natural beauty of the countryside and landscapes are unforgettable, and the kind natured, gentle hearted, and ever so friendly people are what make this country so special. It is one of the most appealing nations in Africa and a place that will easily captivate you in more ways than one. If you enjoy water and a good thrill, Uganda offers some of the best white-water rafting in the world. To top it off, it also has the highest concentration of primates on earth, including the majestic mountain gorilla, which is one of the rarest animals on our planet. With that being said there are also several problems facing this country. Poverty and disease are linked problems in Uganda that are created by poor sanitation, unclean water, and inadequate housing. Only 52 % of the population has access to clean water. Although food is easily grown in Uganda, sporadic droughts cause severe famines. Uganda suffers from a very high infection rate of the human immunodeficiency virus (HIV) that causes acquired immunodeficiency syndrome (AIDS). The International Bank for Reconstruction and Development (World Bank) estimated 820,000 Ugandans were infected with AIDS in 1999. The other most common ailments include prenatal and maternal conditions, malaria, pneumonia, and diarrhea. Infectious diseases, such as meningitis, cholera, dysentery, plague, and human sleeping sickness, have occurred more frequently as a result of the breakdown of the health system which dates back to the 1970's. As a volunteer, you can provide one of the greatest gifts to the people in this country which is Education. It is believed that Education alone cannot eliminate poverty but is one of the greatest contributors to it. As a volunteer in this country, you will be given an opportunity to make a difference to the lives of others and in doing so, the people you will work with will also make a difference in yours. The programs we offer are designed to provide an ethical volunteering experience whereby volunteers will not only share their skills but will also learn about the local communities getting to know the people and their culture. We are actively looking for enthusiastic and empathetic volunteers who want to experience community life in Uganda while getting involved to make a difference with local projects, which are designed to help the most vulnerable people of Uganda. There are very few countries on earth that can offer a visitor as much to see and do as Uganda does. WEATHER AND CLIMATE: Uganda lies on the equator and enjoys an equatorial climate, which provides plenty of sunshine. Uganda has warm days throughout the year with slightly cooler temperatures at night and in the mornings. The rainy season occurs between the months of April to June and from October to December. The dry season occurs between the months of November to March. The hottest period is from January to March and coldest months are June and July. If you're looking for a unique opportunity to volunteer your time and energy with some of Africa's most remote tribes, then this will provide and unforgettable experience for you. 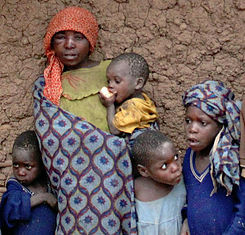 This program was started in 2008 with the aim and vision to be able to provide food, housing, medical services, gardening programs, social development, educational training, cultural preservation and human rights advocacy to some of the poorest and most underdeveloped Batwa Pygmy communities in southwestern Uganda, Africa. The goal is to develop programs to empower them to become sustainable and self-sufficient. This program will allow you to get involved with the Batwa Pygmy tribes which is an impoverished minority group living in Uganda. The Pygmy tribes are believed to be the first indigenous inhabitants of Central Africa and their existence is believed to date back to more than 1 million years ago. Left behind by the developing world, the Pygmy tribes have become one of the poorest and most isolated tribes in Africa and make up approximately 0.02 % - 0.7 % of the population in Uganda. These Batwa people have been living under tremendously harsh living conditions and most of the tribes that are located in the S.W. region of Uganda suffer politically, economically, and psychologically. To make matters worse, most families work on farms for meager wages that are usually barely enough to feed their families. 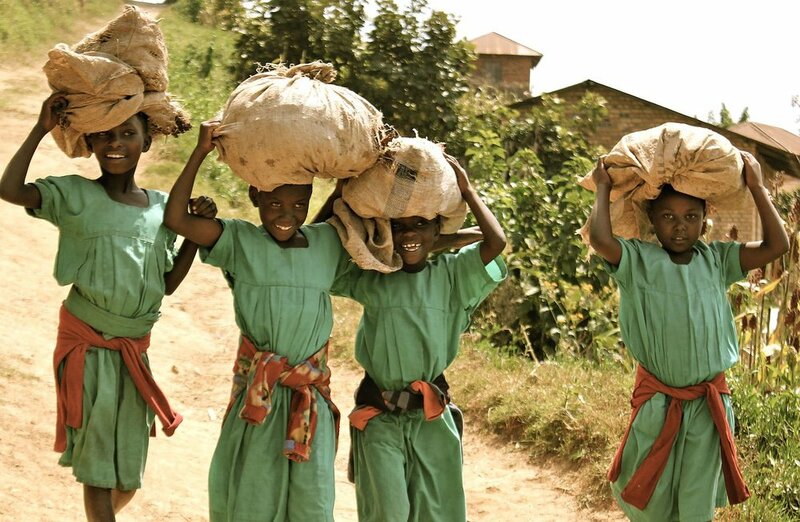 Like most poverty stricken children in Africa, the children of the Batwa tribes are often suffering from malnutrition and have a frightening infant mortality rate at 38% before the age of 5. For centuries, the Batwa people have depended on hunting and gathering to survive in the forests. Today, only a few Batwa still live in Echuuya Forest Reserve and Semliki National Park; and most of the tribes have been forced out of their native land and are currently living on the periphery of their ancestral forestland. The Batwa's dispossession and land lessness is due to the environmental conservation efforts and ecological measures by the Ugandan Government and International agencies. In the early 1990s, the Ugandan government declared the Semliki National Park a protected area and evicted all those who had entered and settled in the area, including the Batwa tribes. To make way for the famous mountain gorillas in Bwindi and Mgahinga forests, the Batwa were 'relocated' by the MBIFCT without their consent, and without any public hearings. This was a devastating move by the Government. Not only were the Pygmy tribes displaced from their homeland, settler farming communities and logging companies also imposed private land rights which limited the Batwas' freedom of movement. During the time of their removal, the farming communities and logging companies continued to greatly damage their forest. At this point there is no real solution and the future has never looked more uncertain for the Batwa Community. While the government provides some Batwa families with land leases of a very short duration, it is unknown what will happen after these leases expire. The largest problem facing the Batwa people is that only a few of the families are covered under this lease and most have been forced to become 'squatters' on the land of their neighbors and charged high fees to remain there. 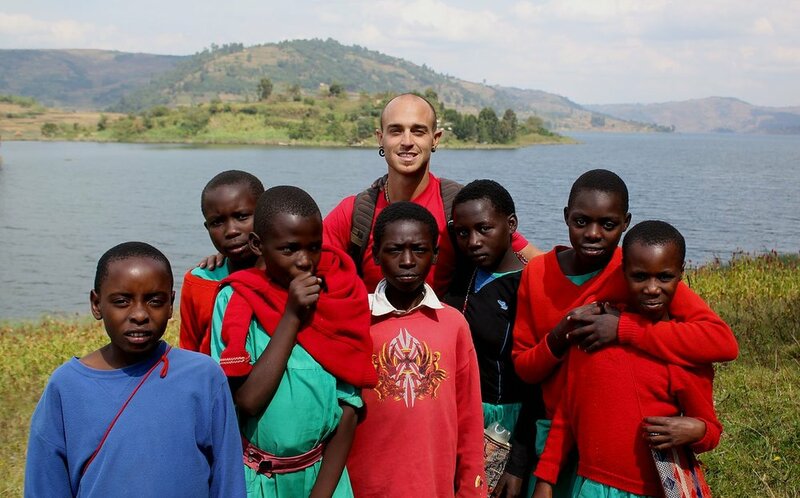 With the help of volunteers like you, The future for the Batwa people may become a bit brighter. Local projects have been created by local Ugandan people that have desire concern to keep the heritage of the Batwa communities alive. 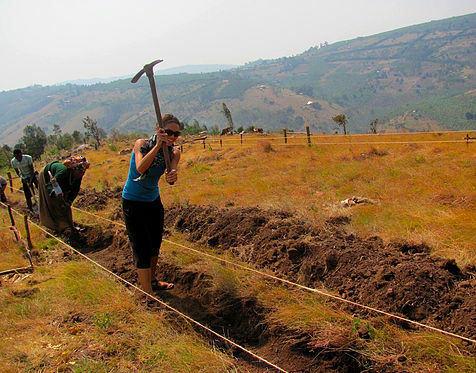 As a volunteer on this program, you can get involved in the following projects: organic farming, community development, construction and development of medical centres, working, teaching, and educating local Batwa Pygmy Tribes, modern agriculture, or community sports development. This program is dependent on the particular volunteers skills, interests and personal experiences. As a volunteer you can assist with the daily teachings, help prepare lectures for the teachers, organize activities that you feel would benefit the children, have your own classroom of children requiring extra attention, or you can even help to strengthen the local teachers’ ability by working with them. Educating our children is one of the main goals and priorities, though we consider education in a holistic manner that transcends the boundaries of the typical classroom. We welcome your ideas to helping these children grow and become prepared for the world. Our main beneficiaries are the children, but we understand that their development depends on the entirety of their life, not just what happens at school. This includes their family, community and social structures. Therefore, this program aims to help improve the lives of all individuals living within our community by facilitating education and awareness projects, including ones relating to Education, health (such as HIV/AIDS) and empowerment of women. Volunteers are required to help develop our communities by assisting in creating outreach materials and presenting important information for everyone in the community to benefit from. This is a relatively new program and the aim is to advance its program scope, we are looking for new suggestions and to incorporate ones own experiences and skills to those involved. For this program, volunteers are encouraged to take initiative in developing new areas of interest and activities for both the community and children they become involved with. Program Fee – project orientation, program supervision, accommodation (private or dormitory style) and meals during volunteer program period, in-country 24/7 volunteer support and in country administration costs. Airport pickup/transfer is NOT included in the program fee but private transport can be arranged for an additional cost.